As scripted television’s most popular show enters its eighth and final season, the Game of Thrones production team has had to pull out all the stops to make sure that no spoilers get leaked. The names on the scripts and call sheets were completely changed to try and keep shooting under wraps, and HBO has done everything they can to make sure that the piracy, leaks, and hacks that they’ve dealt with in previous seasons won’t affect the Starks’ swan song. But there’s one piece of technology being used that hasn’t been seen in any previous television production: a “drone killer” field that prevents quadcopters with cameras from being flown over the shooting area. The more official name for this technology is a “counter-drone system.” Counter-drone systems are becoming increasingly popular as drones with cameras become accessible and affordable. Fans of a TV show or movie will fly over production areas to try and catch a glimpse of their favorite characters, while unscrupulous news outlets might use them to try and get a big scoop by leaking stills or a piece of footage. Game of Thrones is particularly susceptible to this kind of spying because, as an epic fantasy series known for its gorgeous landscapes, the cast and crew have to film most of the action outside rather than on a soundstage. Its enormous popularity also means that it has to deal with a larger and more rabid fanbase than any other program. There are about 235 different counter-drone systems available on the commercial market today, in addition to the massively expensive systems being developed or purchased by the Department of Defense. Some of these systems use projectiles like nets or even lasers to incapacitate or destroy the drones. But the more common type of system – and the one that it sounds like is being used by the Game of Thrones – is one which acts on the instructions being sent to the drone by the radio transmitter. 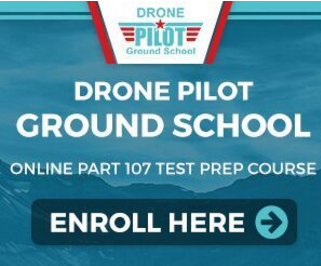 One way to interfere with these instructions is called “spoofing.” These counter-drone systems “spoof” fake directional instructions which are sent to the drone to turn it away from a specific area. Spoofing allows a third party to take over a drone and in some cases even download or view the drone’s camera feed. This could allow the Game of Thrones production team to spot and delete any potentially spoiler-filled footage. However, the description of drones dropping to the ground provided by Sophie Turner suggests that the counter-drone system used by the Thrones set is most likely a jamming system. Like the communications jammers in science fiction films, these systems interrupt or block the radio frequency that’s being used to communicate between the drone and the controller. This lack of connection often causes drones to land on the spot – although more advanced drones may initiate a “return to home” function as soon as the connection is lost. It’s a shame that these systems have to be used in the first place, but as commercial drones become more popular, it’s inevitable that anti-drone security of this type will have to become common as well. 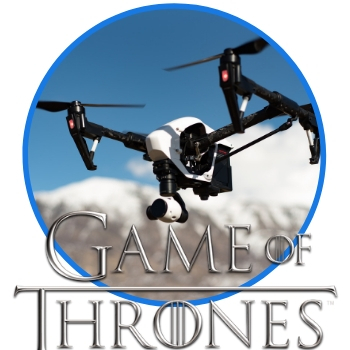 In the meantime, we advise our readers to keep away from Game of Thrones and any other shooting location – unless they want to see their three hundred dollar drone fall like a stone!